We're back with another BIG update to QuickCAST Server. Subscribers with "White Glove" premium support packages should look for an email with your scheduled date/time slot for remote maintenance. All current Standard Subscribers may request the update using the button below. QuickCAST Server 2018 Spring Update introduces several new tools to help with tedious tasks, reduces the learning curve for diagnostic testing and simplifies Windows OS Installation. You asked and now we've delivered; With a familiar look and feel, users have easy access to: Hardware Diagnostics, Malware Scanning, Windows OS Installation and much more! 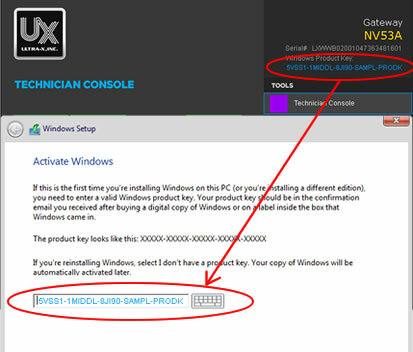 QuickCAST will automatically extract and display the product key from the BIOS. 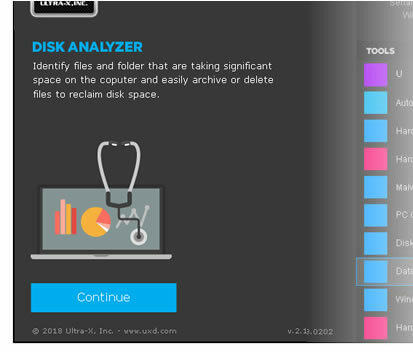 Double clicking the product key copies to the clipboard for pasting when the need arises to reinstall the Windows OS. 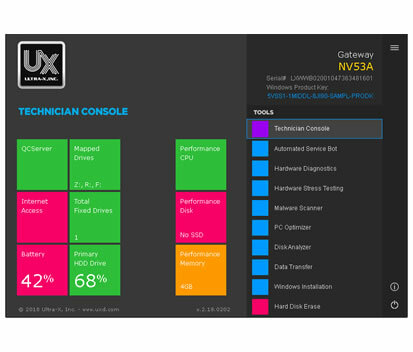 Ultra-X Support Team is available to create custom test scripts to meet your test requirements at no charge. Simply submit a support ticket with your list. In need of a custom integration? Send us your requirements and we'll get it done! 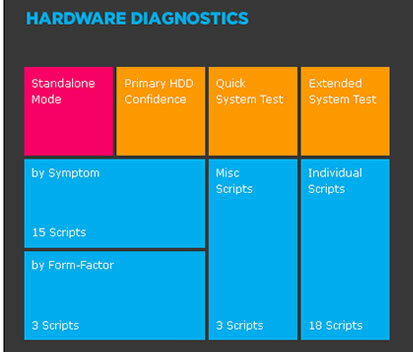 The diagnostic script menu offers preloaded test scripts for one-touch diagnostic testing. Create custom test scripts at your leisure and the script menu dynamically populates. One-touch script launcher makes minimizes the learning curve involved when training new technicians. At the request of many Computer Refurbisher's, Recycle-rs, Asset Recovery/Remarketing customers, we have introduced a special "patch" that removes unused/unneeded QuickCAST options and rather adds custom R2 scripts. These scripts may be customized to fit test and erase requirements. Upgrade your QuickCAST account now and save time with additional concurrent test station licenses. Thanks for using QuickCAST Server!